After multiple delays, Afghan President Hamid Karzai will host a “peace jirga” in Kabul this week in an attempt to secure domestic and international support for his government’s efforts to reach out to “disaffected brothers” fighting in the Taliban-led insurgency. The peace jirga convenes approximately 1,600 Afghan leaders from around the country, including governors, tribal elders, and religious figures. These talks are meant to focus on both the reintegration of low-level Taliban foot soldiers into Afghan society as well as the more politically sensitive issue of reconciliation with the insurgency’s top leaders. President Karzai, who said upon being sworn in for his second term last November that he wants to make the peace effort his highest priority, appears to have secured the acquiescence, if not enthusiastic support, of the international community for his reintegration plans. He’s already received at least $160 million in pledges from the international community to fund these new initiatives. While both Karzai and the international community hope the peace jirga will help secure public buy-in for the government’s plans, the jirga’s composition appears to be designed more for a ratification of his policy than a forum for serious debate. Case in point: No representatives of the Afghan Taliban or the network of veteran anti-Soviet commander Jalaluddin Haqqani are expected to attend the gathering. And representatives of the insurgency’s third major faction, Gulbuddin Hekmatyar’s Hezb-i-Islami—who met unofficially with some Afghan members of parliament in the Maldives prior to the talks and visited Kabul at the end of March—are not expected to take part in this gathering. The jirga, then, will most likely result in the acceptance of the new Afghanistan Peace and Reintegration Program plan, which was circulated during Karzai’s mid-May visit to Washington. Unfortunately, this plan is unlikely to result in decisive shifts toward accommodation with either large groups of lower-ranking Taliban fighters or the movement’s core leadership. This effort (like previous ones) relies on economic cooptation programs that fail to seriously tackle the political roots of the insurgency. Political grievances with the Afghan government serve as the principal recruitment tool for the Taliban insurgents, who cast the Karzai government as a corrupt puppet of the West more concerned with its own self-enrichment than the people of Afghanistan. This memo assesses the failure of the current peace plan to address this and other pitfalls and learn from past mistakes. While greater international attention and support for the process of reconciliation and reintegration is important, achieving durable peace in Afghanistan requires pushing for more comprehensive political reforms than the steps currently envisioned by the Karzai government. What peace efforts have been tried? The proposed peace plan and accompanying jirga are far from the first efforts to reach out to Afghan insurgents. Following the U.S.-led invasion in 2001, there was little clarity and consistency on the future role for members of the former Taliban government or their armed followers who remained in the country. Some were detained in Guantanamo Bay; others were allowed to run for the parliament in 2005. The Disarmament, Demobilization and Reintegration or DRR process from 2003 to 2006 primarily targeted the militia forces of the former anti-Taliban Northern Alliance coalition who fought alongside the United States during the 2001 invasion, and select regional commanders, some of whom were integrated under the command of the new Ministry of Defense and others of whom received agricultural, vocational, and business support in exchange for putting down their arms. This process was followed by the Disbandment of Illegal Armed Groups or DIAG program beginning in 2005. The DIAG process offers development projects to communities in return for the dismantling of approximately 1,800 militias around the country. These two successive efforts were paralleled by the Afghan government’s Strengthening Peace Program, known by its Afghan acronym PTS, which was established in 2005 and continues to operate today. This program focuses primarily on releasing Afghan detainees and providing them with stipends to give up their arms. Despite its claims to have reconciled thousands of fighters, external assessments found that many of these were not genuine insurgents, or insurgents with any influence—a problem also identified in both the DDR and DIAG processes. What’s more, the PTS program remains chronically underfunded—a recent assessment of the program found that as many as 100 fighters and their commanders may have returned to the fight after promises of assistance failed to materialize. These Afghan governmentwide efforts were also supplemented by a variety of ad hoc attempts by Afghan government officials and offices, as well as international military forces, to reach out to individual insurgents and communities to lay down their arms in exchange for greater autonomy from direct government control over their areas. The highest-profile example of this was an agreement brokered between British troops and tribal elders in Musa Qala in Helmand province in September 2006, which broke down after Taliban fighters used the ceasefire to consolidate their own control over the area. All of these social reintegration and political reconciliation efforts to date suffer from common flaws, including inadequate political and financial support by Afghan and foreign governments, a lack of effective vetting mechanisms to determine who is a genuine insurgent, poor design and management of the programs’ difficulties in delivering on promises made including jobs and money, and failures to protect reconciled fighters. Even when successful at delivering on promises of fresh support for ex-combatants, these efforts create perverse incentives whereby peaceful communities and individuals feel penalized for not fighting the Afghan government. These and other mistakes are unfortunately at risk of being repeated in the latest effort. The key assumption underlying this new peace plan as well as previous efforts is that the “disaffected brothers” who comprise the insurgency can, with sufficient financial incentives, be induced to separate from their respective factions—principally the Taliban, Hezb-i-Islami-Gulbuddin, and the Haqqani group. But this effort’s success depends on the government’s perceived trustworthiness, the nature of incentives offered, and the ability of the insurgency’s leadership to control the response of their followers. These factors are not sufficiently addressed in this new plan; a detailed assessment of the most important flaws in the proposed approach is outlined below. Like previous reconciliation attempts, the latest peace plan draft avoids detailed discussions of the political grievances that drive the insurgency. It expresses rhetorical support for “good governance and legitimate grievance resolution with assistance to subnational formal and informal governance structures to promote peace,” but does not provide criteria for what constitutes a “legitimate” grievance, an explanation for how those grievances will be resolved, or any serious assessment of how the practices and composition of both national and local-level government bodies contribute to public grievances against the state. U.S. and international officials have professed the belief that as much as 70 percent of the insurgency is comprised of low-level fighters motivated primarily by monetary concerns, but other assessments of the movement suggest that insurgents mobilize for far more complex causes than a lack of job opportunities. Many Afghans have joined the insurgency due to their anger with the Afghan government, from which they see themselves politically marginalized and which they perceive to be corrupt, illegitimate, and predatory. A recent Pentagon assessment found that only 29 out of 121 strategic districts surveyed were “sympathetic with” or “supportive of” the Afghan government. Unless this disconnect is resolved and governance reforms are prioritized that focus on institutionalizing checks and balances, increasing opportunities for public input into government decision-making and resource distribution processes, and creating greater accountability for government officials and security forces, the slide in public support for the government is unlikely to be staunched. The plan utilizes the very government figures perceived by the insurgency to be corrupt or abusive as the main interlocutors in the reintegration process—almost all of whom are presidential appointees rather than elected public representatives. The primary structures through which the Afghanistan Peace and Reintegration Program envisions reintegration being carried out are through a national-level Peace and Reconciliation High Council overseeing a Joint Secretariat that is meant to formulate and coordinate policy; provincial-level Peace, Reconciliation and Reintegration Committees; and district-level Peace and Reintegration Committees responsible for carrying out the actual outreach. These national and subnational reintegration bodies conform to broader trends of Afghan governance in that almost all decision-making authority rests with presidential appointees rather than any elected public representatives. The Peace, Reconciliation and Reintegration Committees are chaired by Karzai-appointed provincial governors and include representatives from the security and intelligence services; line ministries and offices such as the Ministry of Finance, Ministry of Agriculture, and the Independent Directorate of Local Governance; the NATO-led international military forces; the U.N. Assistance Mission for Afghanistan; the provincial ulema (Islamic religious scholar) council; and “other influential figures.” Some parts of the draft indicate members of the elected Provincial Councils will be included, while others do not mention them, suggesting the final composition may not be resolved internally within the Karzai administration. District-level Peace and Reintegration Committees, chaired by appointed district governors, include District Council heads among their membership, but elections for these councils have not actually taken place to date. The national-level High Council does include the speakers and deputy speakers of both the upper and lower house of parliament, but as at the provincial and district level they are outnumbered by representatives from the security services, the ministries, and other “influential figures” and there are no external audit or oversight processes to assess the government’s outreach efforts or compensation programs for those insurgents who opt to defect. The new draft reintegration plan (like previous plans) operates on the assumption that most Afghan insurgents are not ideologically motivated but rather take up arms primarily out a sense of economic disenfranchisement. The primary incentives for ex-combatants are economic; after a 90-day registration, demobilization, and vetting period they are to take part in either centrally managed or community-led vocational training, de-radicalization, and job-creation programs. The preferences of both the ex-combatants and their communities are meant to determine whether they take part in the national- or local-level versions of the program. Quick-impact stipends to individuals and development projects to communities may offer temporary alternatives to joining an insurgent faction instead of participation in the war economy. But pouring money into communities or into the hands of individuals for reintegration without addressing the larger political dynamics has the potential to create greater instability if it exacerbates grievances on how money is distributed and who benefits from participation. If these efforts are not integrated into broader political reforms and an economic development process that includes a reduction of Afghan government dependence on unpredictable flows of international assistance for its continued operations, they may only offer a temporary respite from conflict at best. While authority for condcuting outreach efforts is centered in the Afghan government’s executive branch, the new plan places most of the responsibility for actually delivering on the promises of reintegration on community-level bodies and the line ministries such as the Ministry of Reconstruction and Rural Development and the Ministry of Education. Coordinating these efforts, achieving unity of effort, and providing the resources necessary to deliver these services present a major challenge for the new plan to be effective. Community-level development projects intended to provide opportunities for ex-combatants and incentives for reintegration are to be disbursed through the National Solidarity Program’s Community Development Committees in areas where they exist. At the national level, the government is seeking funding to create new Engineering and Construction Corps and Agriculture Conservation Corps job programs. In the absence of existing “local mechanisms,” the plan gives provincial and district governors the power to mobilize new ad hoc local councils to broker reintegration agreements, but it provides minimal guidelines on how they should be constituted to ensure actual representation of the communities in which they operate. These councils and local community elders also are identified as instruments for providing security in the reintegration process. But the Taliban’s success at intimidating local residents who cooperate with the government and its ability to displace traditional authorities, as demonstrated in the 2006 case of Musa Qala, both raise questions about the ability of these local groups to guard against retribution. Otherwise, the plan provides little guidance on which groups will be eligible for reintegration, deferring this to a government-drafted legal framework to be developed at an unspecified later date. Given long-running policy trends in which “the only standard for deal-making with insurgents appears to be potential ‘co-optability’” and the aforementioned lack of elected representatives on the bodies leading the outreach effort, this lack of clarity should be a cause for concern. The senior leadership of all three insurgent groups have, to date, repeatedly rejected any prospect for formal peace talks with the Karzai government as long as international troops remain in the country. They are aware of the government’s heavy dependency on international backing to mobilize the security and funding it needs for survival, and they have determined that the Karzai government is not a legitimate body with which they should ever have to negotiate. Even assuming political reforms are undertaken to a degree that would make reintegration an attractive option for current comabtants, the organizational coherence of the insurgent movement has additional implications for the success or failure of peace efforts. While the Afghan insurgency is multilayered and its ranks boast varying degrees of commitment to full-time fighting, the Taliban organization appears over the past several years to have achieved a comparatively high degree of control over its own field commanders. This effort is carried out through strong ideological codes of behavior, command rotation, relatively centralized control over funding streams, and central disciplinary bodies. The ability of the insurgency to retaliate against those who quit the fight also has obvious effects on internal discipline. The U.S.-led international coalition supporting the Afghan government has sought to degrade the insurgent’s command-and-control capability through the covert targeting of midlevel commanders, most notably with the high-profile arrest of the Taliban’s operational commander, Mullah Abdul Ghani Baradar, in Pakistan in February of this year. 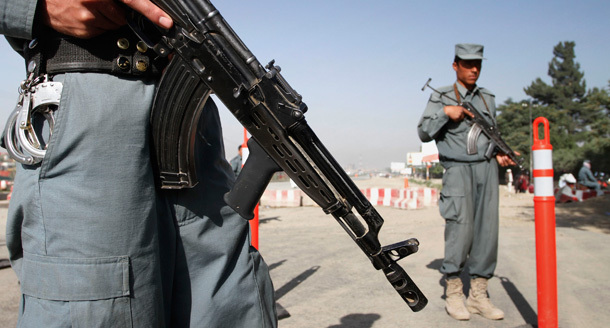 These disruptions may potentially open the door to lower-level insurgents who wish to give up the fight. But there is no guarantee that separating field commanders from their central leadership across the border in Pakistan will bring about long-term peace, especially absent a serious effort to restore trust in the government as a partner to which insurgents would want to reconcile. Instead, there is a danger of trading a single relatively unified enemy for hundreds of equally committed or costly to coopt foes. The Afghan government today suffers from a severe legitimacy deficit, both in its relations with the Afghan people and with its opponents in the insurgency. This lack of legitimacy was exacerbated by previous reintegration attempts in which the government failed to deliver on its promises of security and/or monetary assistance. That’s why the international community needs to increase its pressure on President Karzai to begin implementing a series of political reforms in order to address the lack of accountability in the government, the insufficient checks and balances, and the inability of Afghans to access and influence government decision making. Reconciliation and reintegration efforts with ex-combatants will form an important part of bringing the conflict in Afghanistan to an end, but they need to be viewed as part of a more comprehensive process of political reform. Buying off some insurgents temporarily with promises of new development money is bound to fail yet again absent greater efforts to restore public trust in the Afghan government. A new plan that repeats the mistakes of the first two efforts is highly unlikely to achieve different results. Caroline Wadhams is Director for South Asia Securities Studies at the Center for American Progress. Colin Cookman is a research assistant with the National Security team at the Center.